Echo is shedding out her winter coat, which means i end up covered in hair after i Furminate her... kind of like Cousin It! it's totally worth it because underneath she is so slick and shiny :D she has these metallic copper undertones that are just so gorgeous. 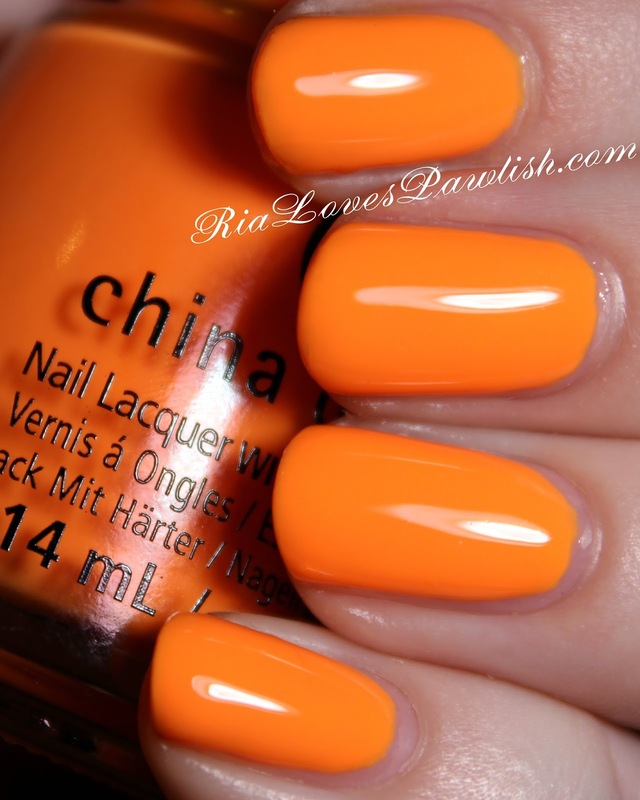 Home Sweet House Music is the China Glaze Electric Nights polish of the day! (it's a press sample, kindly provided to me for review). it's a bright tangerine orange creme... i love how all the colors of this collection just scream happiness :) it's opaque in two easy coats and dries fairly shiny on its own. it's even better with topcoat, though! two coats Home Sweet House Music, Salon Perfect Crystal Clear Top Coat. (both are press samples).